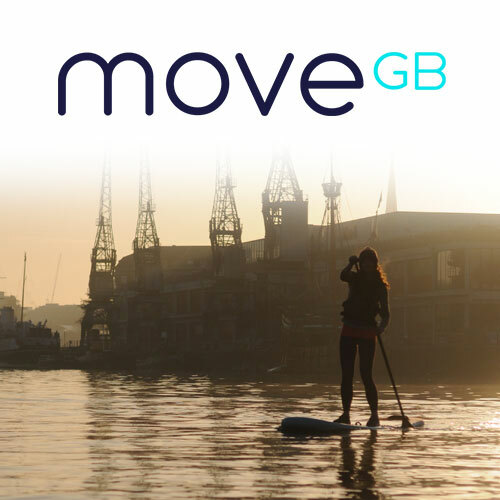 Make full use of your MoveGB membership and enjoy fun, regular SUP sessions throughout the summer. Enjoy our sessions? Leave us a quick review on Tripadvisor and help us spread the word! Join us on the water up to six times a week until October. SUP sessions are great fun and run by our qualified and experienced instructors. We start promptly so please be ready five minutes early, wearing gear for the water. Sessions are limited to ten people for your own safety and enjoyment. Let your instructor know if you’d like to be pushed, work on your technique or simply enjoy a leisurely paddle. Our sessions are suitable for all and we leave no-one behind. Booking conditions: You must have completed one of SUP Bristol’s intro sessions (harbourside adventure, taster session or group session) and joined us as a member. This is so we know you are confident both on a paddleboard and paddling in Bristol’s busy Floating Harbour. If you are not yet a registered user of our site you can join us here for free as a member or through Move GB here. Anyone arriving at a members session without SUP Bristol experience will be refused access and fees cannot be refunded. When booking through Move GB, you are booking for yourself only. Sorry, but we cannot accept bookings for friends as this interferes with the Move GB booking process. Sessions are available to book online two weeks in advance. Online booking: Select the date and time below and click book now.